Specs aside, the best way to decide whether any tool is right for you is to try it out. 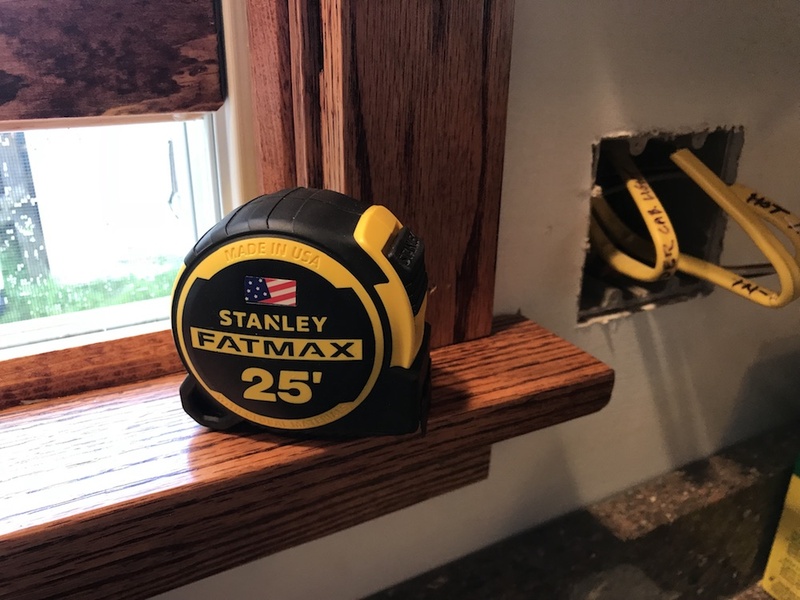 The Stanley 2018 FatMax Tape Measure is not a dainty little thing; it’s design is based roughly on that of a baseball, with curved sides that bulge outward. The ergonomics are good, though, at least for my large hands. The tape has a dual return spring that does a good job reeling the tape back in. It takes its job seriously, so keep your fingers away from the front of the tape if you don’t want to get hook-smashed. The blade lock worked pretty well, although a couple of times it was tough to release. The business end of the Stanley 2018 FatMax Tape Measure is pretty beefy. The hook is secured to the blade with three rivets, and the vulnerable first 6” chunk of the tape is protected by a double coating of Bladearmor. The entire length of the tape is protected by a coating of MAXSHIELD, to protect against rust, wear and abrasion. And a protective coating on all twenty-five feet. 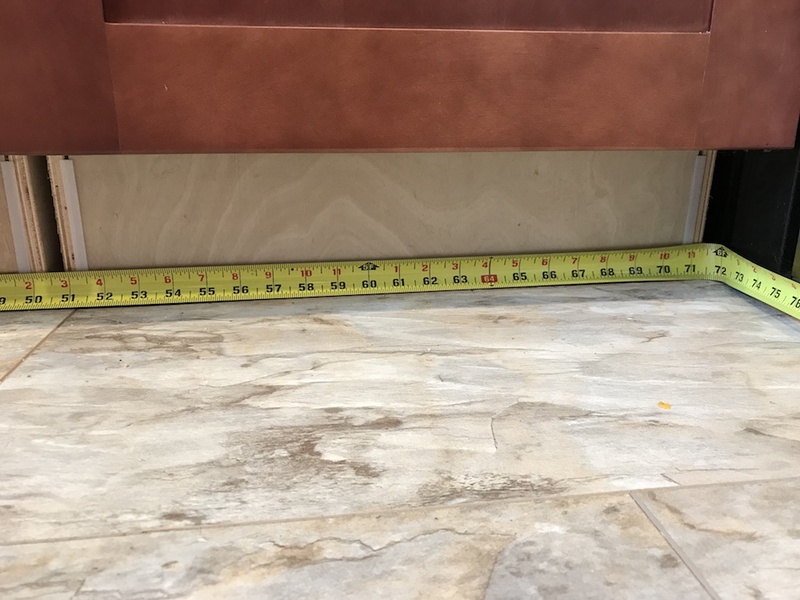 I used the Stanley 2018 FatMax tape measure for a couple of months, on a wide variety of projects. 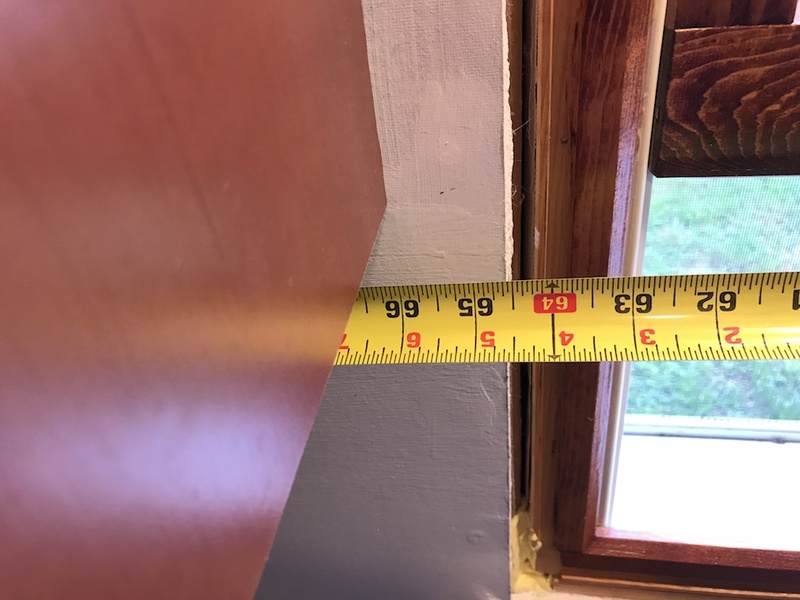 I used it for measuring and marking drywall, installing toe kick on kitchen cabinets, installing window trim, installing a kitchen backsplash, and on lots of general carpentry tasks like replacing a rotted window sill. I also used it to lay out the spacing for a bunch of LED shop lights I’m installing on a 12’ ceiling. The tape’s good standout came in especially handy on that project, where I was working up on a ladder. And up high setting perfect spacing for new shop lights. 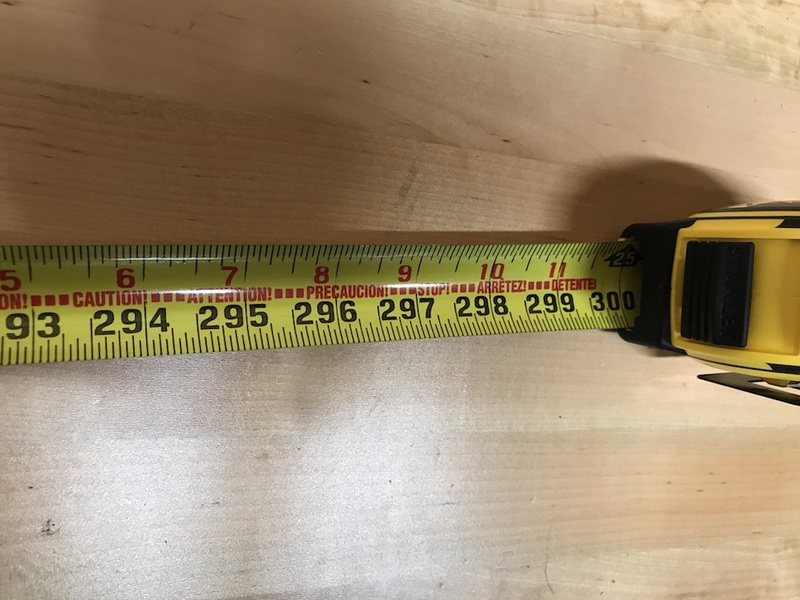 The Stanley 2018 FatMax Tape Measure: Outstanding Standout? 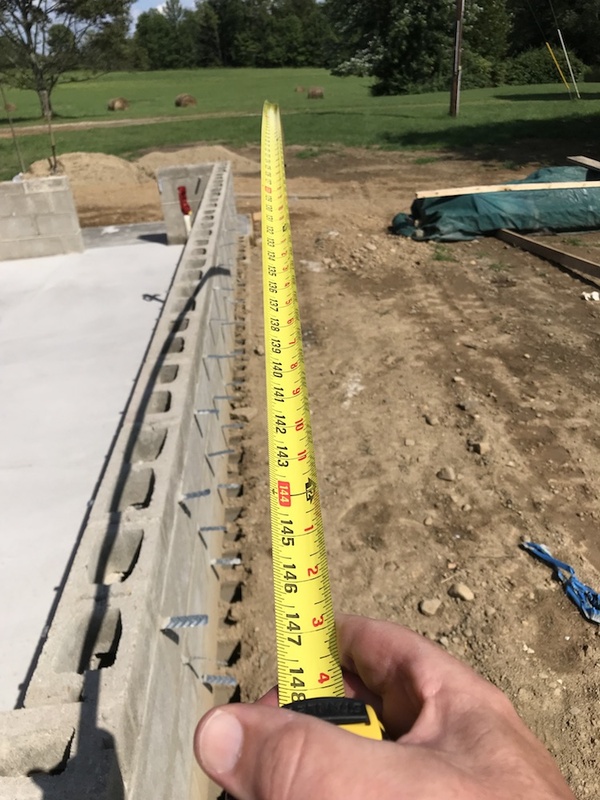 Having a tape measure with good standout can come in handy in a number of ways. 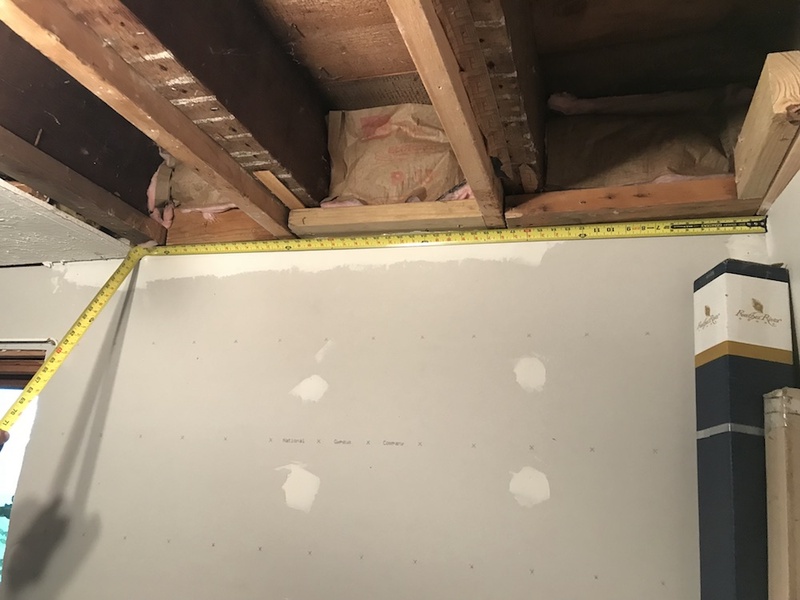 Not inclined to belly crawl through that layer of damp, smelly mystery crud on the floor of the crawl space to get a measurement? Need to get one end of the tape to your buddy on a ladder ten feet from yours? 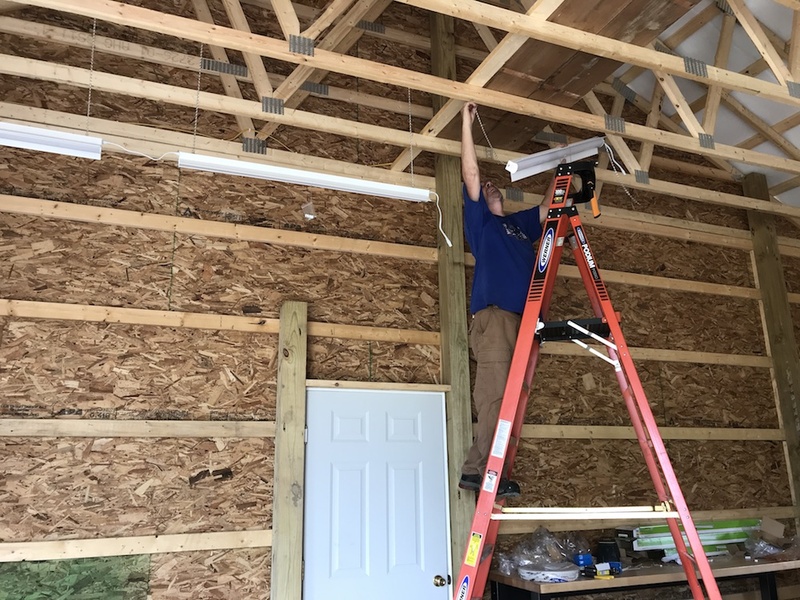 Laying out measurements for LED lights on a 12’ ceiling? Standout is your friend. 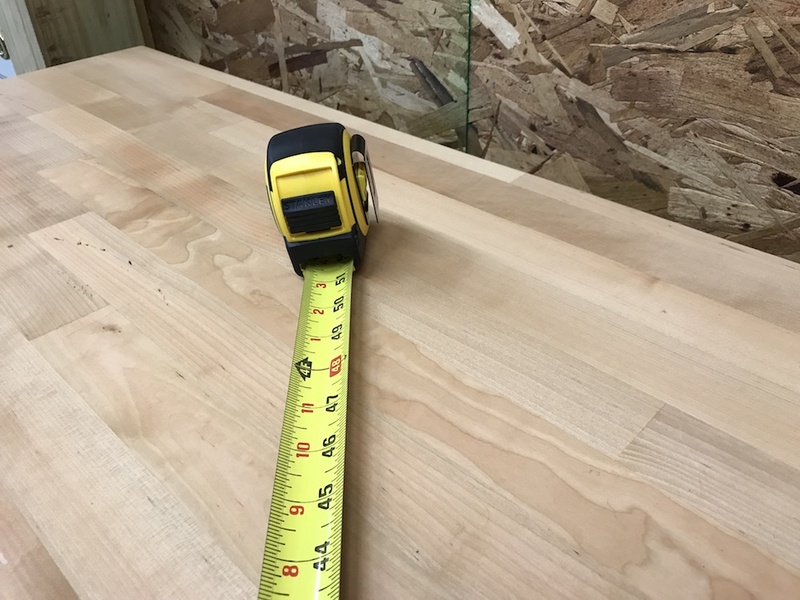 The specs for the 25’ Stanley 2018 FatMax tape measure claim a whopping 13’ of standout. I was skeptical, but figured I should check it out. One glorious summer day, I decided to stand outside to perform my standout testing. The Stanley 2018 FatMax tape measure came with a little booklet that included standout test instructions. The short version is slow and steady does it, and support the tape as it comes out of the case. Given the exciting nature of the situation, it was difficult, but per the instructions, I remained calm. Stick it out, stick it out, waaaay out…over 12′! I extended the tape several times, and was able to consistently get over 12’ of standout, averaging around 12’ 3”. There was a fair bit of arc to the standout, which you would expect when extending a thin piece of steel over that distance. Physics always triumphs in the end. To make sure the test hadn’t been affected by wind, I repeated it indoors. I got the same results, although one time I did get the tape to stand out almost 13’ for a couple of seconds. 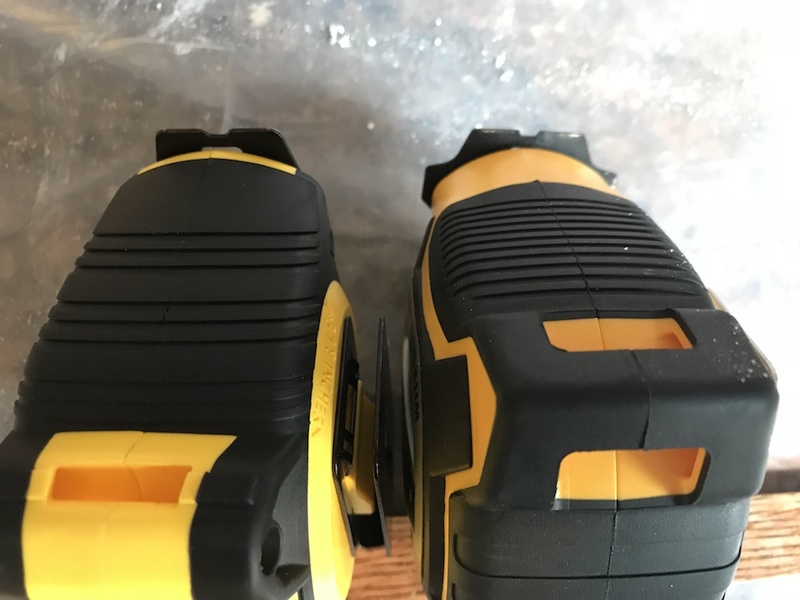 Bottom line, if you take your time, you should be able to expect 12’ of standout from the Stanley 2018 FatMax tape measure, and that actually IS pretty outstanding. 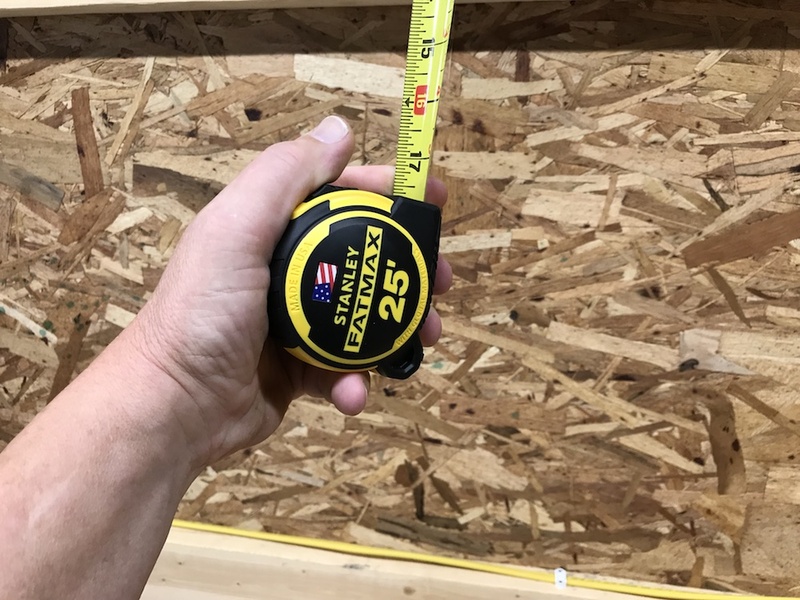 Would The Stanley 2018 FatMax Tape Measure Be A Standout In Your Tool Belt? Tape measures aren’t the most glamorous tools in the shed, but it would be tough for most of us to get by without one. I’ve gone through many over the years, from budget tapes that bent and cracked to good sturdy ones that have fallen into places I couldn’t – or wouldn’t – retrieve them from. 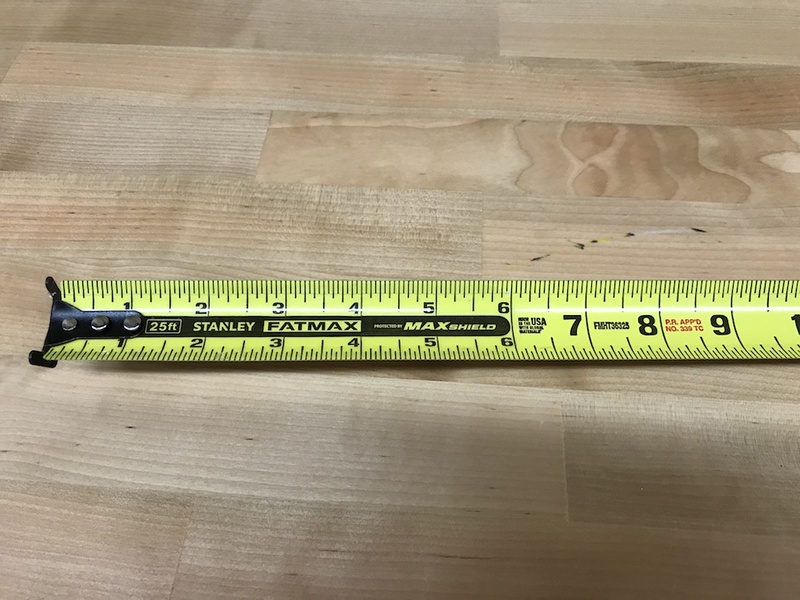 The Stanley 2018 FatMax tape measure definitely falls into the “sturdy tape” category. The case is strong and robust, and the blade is good and sturdy, and easy to read. The Stanley 2018 FatMax tape measure is well-made and easy to read. I do have a couple of minor quibbles with the tape. Like its most recent cousin from DeWalt, the Stanley 2018 FatMax tape measure has a rounded front edge on the bottom. This makes the tape prone to fall over when the blade is extended more than a couple of feet, and the tape is set on a flat surface. 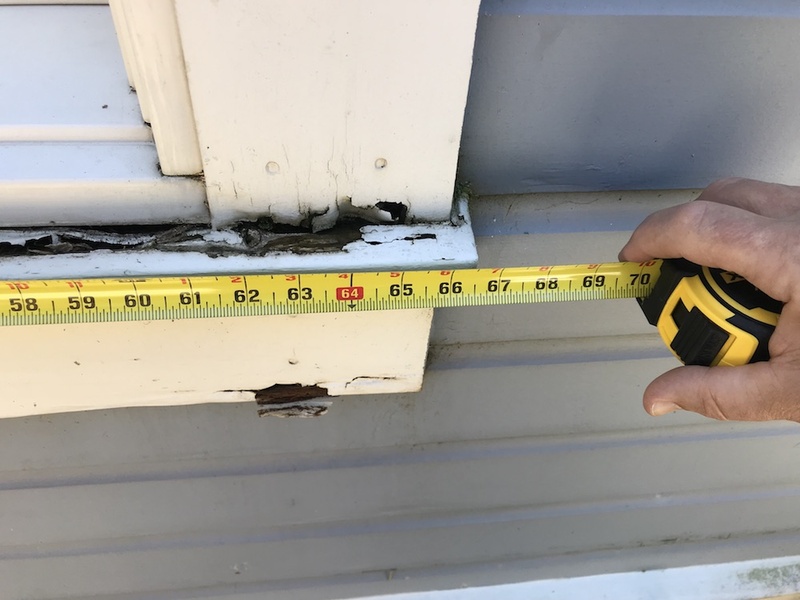 The other annoyance is that the hook doesn’t extend down far enough when the tape is all the way in, and it can be tough to snag it on something to start extending the tape. This is easy enough to rectify, though, by just extending the tape a few inches before starting. Not so bad here, but I had the tape fall over a few times at longer distances. If you’re in the market for a new tape measure, get a grip on the new Stanley 2018 FatMax tape measure, and see if it’s a good fit for you. It’s American made, and Stanley backs it with a limited lifetime warranty, so as long as you don’t drop it in the porta-potty or run over it with the skid steer, you should be able to see how far it is from point A to point B for a good long while to come. The cushy trim job, all done. Nice to see they finally included metric. I wonder if this is an improvement of the 33-725 that I have, whose lock never worked well––it is so hard to lock it hurts your finger, and yet the lock lets go if you slightly bump the tape against a work surface. The Limited Lifetime Warranty : https://www.stanleytools.com/support/stanley-warranty-information––is useless. IF, after you send the tool back at your own expense, the defect meets the draconian requirements, they might send you a replacement. For a $14 item? Hmmmm…as is usually the case with warranties, the large print giveth, and the small print taketh away. I wonder how they’d define “improper use or abuse” on a tool that’s advertised to survive a 50′ drop? !